I arrived early on Monday morning in Shanghai airport. 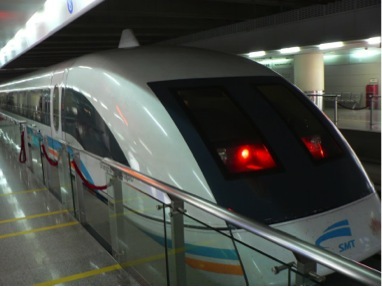 The Maglev (Magnetic Levitation) train brought me to the city center in 8 minutes at a maximum speed of 301 km/h. 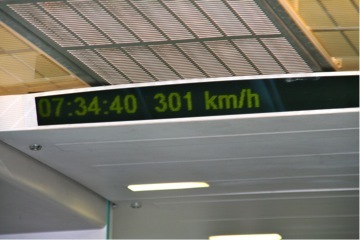 During the day the train reaches a maximum speed of 431 km/h. Stijn, a friend of mine studying an MBA in Gent, was also staying in the same Hostel. We all gathered and took off to People’s Square in the city to meet up with our Leuven classmate Gilles. 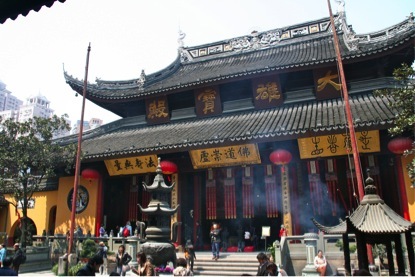 From there on, we first visited the Jade Buddha Temple. 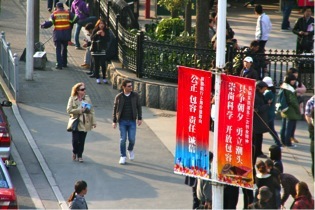 Afterwards we travelled to the famous Bund where we got a first glimpse of the Pudong new area across the Huangpu River. 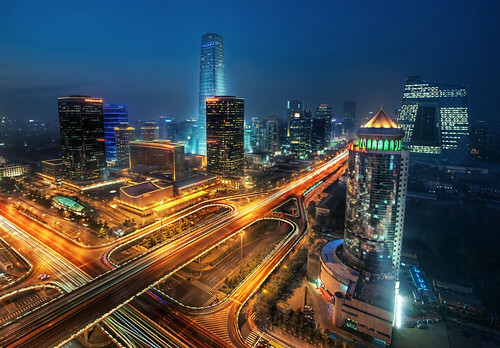 The Bund is a waterfront area between the river and Zhongshan road. Eager to see the Pudong new area from close by, we crossed the river by taking the sightseeing tunnel. 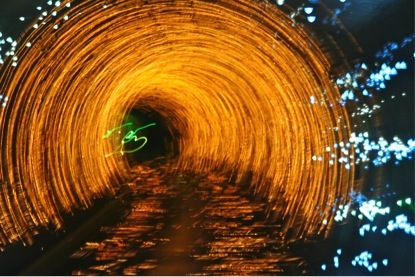 As you will see in the following link to a You Tube video, this tunnel is less spectacular as seen in many pictures (mine is pimped by playing with the shutter speed), but it was nice to have seen it though. Once we arrived at the other side we grouped with two other classmates, Vanessa and our one and only Chief Party Animal, Fabian. We climbed the large bottle opener shaped building, the Shanghai World Financial Center, housing the second highest observation deck worldwide at 474 meters. 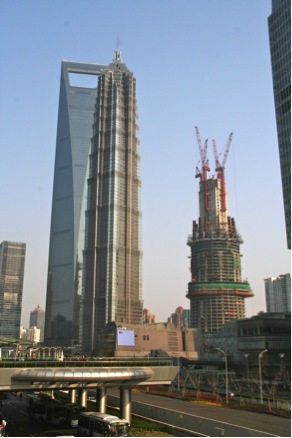 Next to this tower an even higher beauty of 632 meters is being built, the Shanghai Tower, which will open for public in 2014. 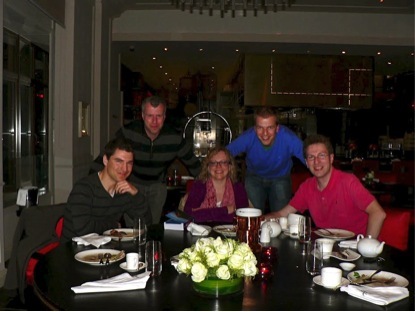 For dinner, Frederik arranged us a nice table at Shook! where Kevin Cape, a British highly respected chef, presents an Asian and Western blended menu. We tried some different nice dishes but it was mainly one of the desserts that caught our attention. Even for a culinary adventurist like me, the “Malaysian Ice Kacang” was very innovative. Or did you ever try a dessert that combines shaved ice, corn, sweet brown beans, peanuts and grass jelly? After the first big party, everybody was a little (or a lot) down on Tuesday! We had classes only in the morning, we had a lecture about the history of China and another one about Confucianism (Tony Liu). 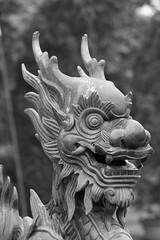 Then, during the afternoon, we visited the Forbidden City and the Hutong District. It was definitely the worst day of the week to do an outside activity because it was freezing cold! But we survived! 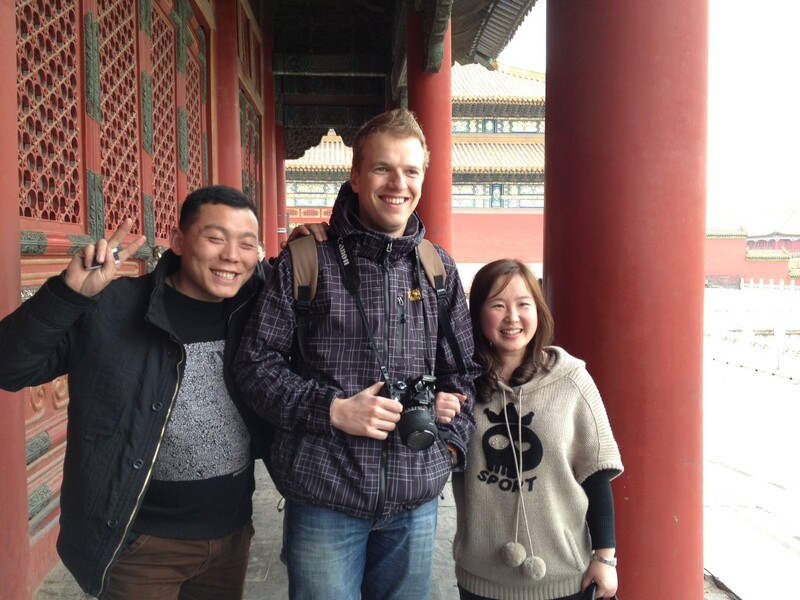 We had a lot of great moments like when we were in the Forbidden City, the Chinese people wanted pictures from us but mostly from the blond people and also from the tall guys as you can see on the picture … They took hundreds of pictures of us! Our group rocks in China ! Vlerick is already in the photo books of many Chinese people! First of all… We all made it to China! Some of us came earlier and met in other cities before Beijing! 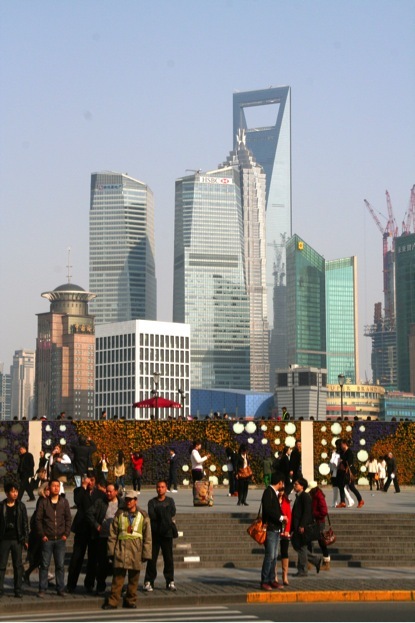 Shanghai was for example one of these meeting places! Then here we are ! Beijing! We have to say something about General Becky! She is in charge of the organization of the Chinese trip. During the introduction session she told us that if the schedule says 9:00a.m , it doesn’t mean 9:01a.m , we start at 9:00! The first session was an introduction of the Chinese culture presented by the Dean of the Chinese MBA program, Mr. Bruce Stening (not Bruce Willis like Kattina thought). After this session, we all (Leuven students) went to a fake market for shopping! We could finally put into practice what David Venter told us! We developed our bargaining skills and we negotiated great deals! Then it was followed by a great Vietnamese restaurant! Finally we ended up in a Russian bar/disco! OMG I don’t remember the end! Sorry Becky, we were all late on Monday morning! Fabian Frola from Beijing ! International Study Trips: 1, 2, 3, Go! During the coming two weeks, first year students will experience their international study trip. 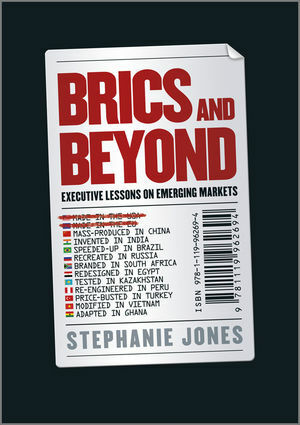 Some of us will be in China, some in South Africa and others in the USA. The preparation session was specific for each country; the experience will also be different. I’ve asked some students to become reporters for a few days and send me their feelings and comments. And, again, if you also want to share your study trip experience, just send me an e-mail and I’ll publish it! Thanks in advance! 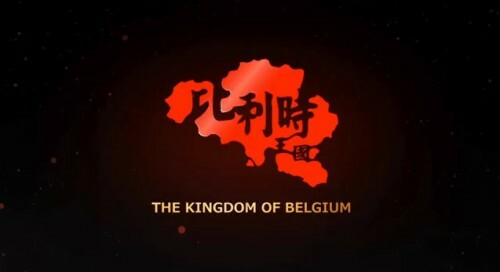 For the New Year of the Dragon, Belgium is selling itself on Chinese social networks Baidu and Weibo. For those who are going to other parts of the world, here are the Belgo-indian chamber of commerce and industry, the American chamber of commerce in Belgium and the Belgian chamber of commerce for Southern Africa. If you know any other celebrations, feel free to post them in comments below! Edited on Jan. 10 to add Maasmechelen Village celebrations. Edited on Jan. 20 to add the three celebrations from belvietnam.